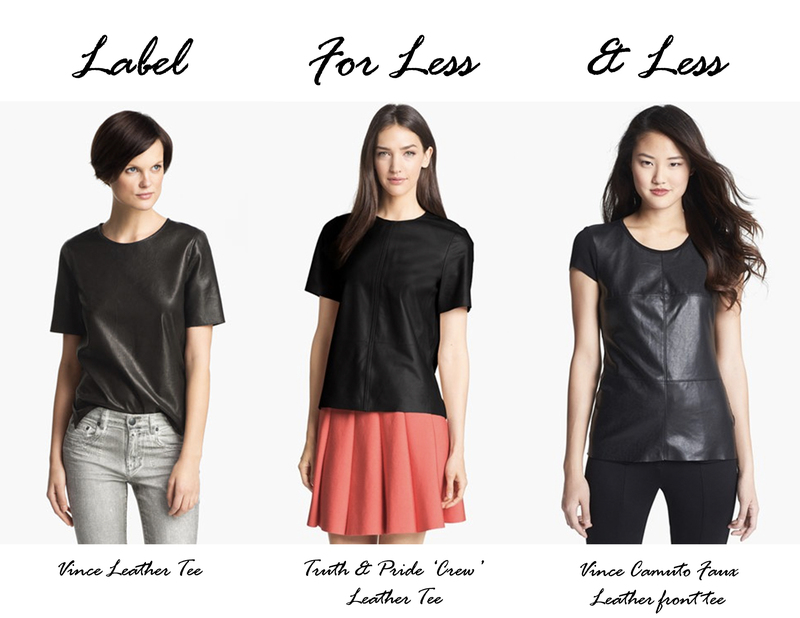 I know I have done a Label for less post on leather tee’s before but now that I’ve purchased mine I thought it would be fitting to show which one I selected out of the three above. I have always loved Vince, for their simplicity and quality of materials but the price tag can be a little hard on the wallet. Vince delivers investment pieces that will last but not all staples have to cost that much. The Truth & Pride version (for less) has a perfect fit, made buttery leather and is currently on sale. If you haven’t guessed already this is the tee I’ve purchased; I just can’t wait for it to arrive in the mail! I tried it on in store but the one they had was a little flawed so Nordstrom ordered me a new one. The third option, by Vince Camuto (& less) is faux leather and has a great price point. It gives you the look of a leather tee from the front but has fabric on the back. Which option would you have chosen? Label: Vince, $595, available at Nordstrom. For Less: Truth & Pride, $298 on sale for $178.80, available at Nordstrom. & Less: Vince Camuto, $79, also available at Nordstrom.